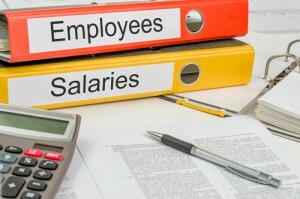 How many payroll officer(s) do you have? Do you know if your company has key (wo)man risk? Is your payroll process dependent on one person? Are any your other staff trained on processing payroll, running critical payroll reports, paying taxes, reporting to ATO? Talk to your payroll officer/manager and get them to document what they know about processing payroll, order of performing payroll tasks; payroll checklists; reporting requirements and their stakeholder interaction maps. Seems excessive? Well you’ll thank me when the payroll officer falls ill or leaves or needs time-off during payrun! Understand the pay periods-timelines, especially noting cutoff periods for data (updates) submission; leave processing; determining leave liabilities; allowances; periods for opening and closing self – service systems; banking timings and related funds release processes. If you haven’t already, upskill someone internally to be a payroll backup. Now that you’ve got everything documented, it is as simple as organizing a training regime. Talk to your payroll system/service provider; they will most likely offer a payroll business continuity and disaster recovery service. Conduct a cost-benefit analysis to subscribe to such a service vs. training someone internally vs. other options. These services are offered at both % of payrolled employees as well as fixed cost models. If you already outsource your payroll make sure you ask them about their business continuity and disaster recovery processes. Lastly, remember that the complexity of the backup solution will depend on the number of people you pay. The greater the number, the higher degree of risk and hence the higher requirements for a backup and disaster recovery process. As always, for any advice on payroll process documentation, mapping of payroll processes or discussing how to go about setting backup and disaster recovery processes please feel free to contact hrtechgirl@gmail.com .